Ricardo Medina is shown in these undated file photos. 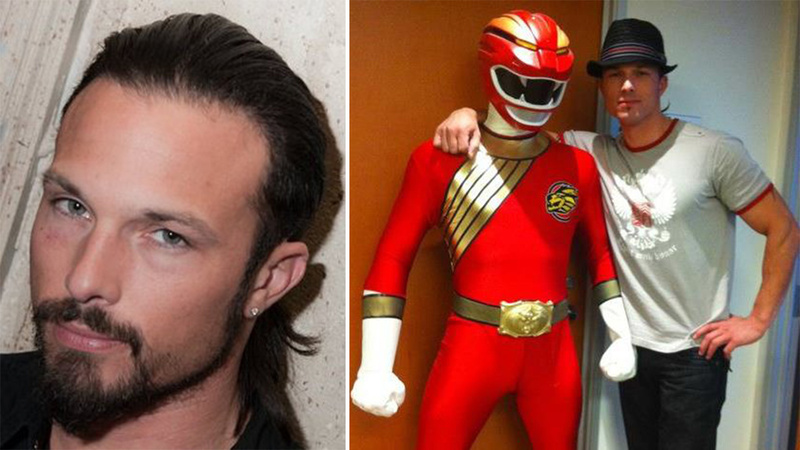 PALMDALE, Calif. -- Los Angeles County sheriff's deputies have arrested Ricardo Medina, Jr., who is best known for his role as the red Power Ranger, in connection with fatally stabbing his roommate with a sword in their Green Valley home. Medina, 36, was booked for murder at Palmdale Sheriff's Station. He was being held in lieu of $1 million. "He is a great friend and a great client. It's something I can't even conceive. I don't see that in him. He was a very helpful guy and great with his dog. It's such a shock," said Gar Lester, Medina's former agent who has known the actor for 12 years. Los Angeles County sheriff's deputies said Medina called 911 at about 3:50 p.m. to report the stabbing in his home in the 38000 block of San Francisquito Canyon Road. Sheriff's deputies said Medina got into an argument that turned into a physical fight with his roommate Joshua Sutter, 36. Sutter allegedly followed Medina and his girlfriend into their room by forcing the door open. Medina then stabbed Sutter in the abdomen with a sword kept next to the bedroom door. Sutter was taken to a hospital, where he later died.